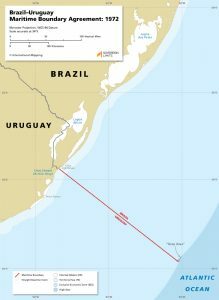 The maritime boundary between Brazil and Uruguay was established through a bilateral agreement that was reached in 1972. This Agreement permanently established the location of the land boundary terminus (LBT) in the mouth of the Chuy Stream. 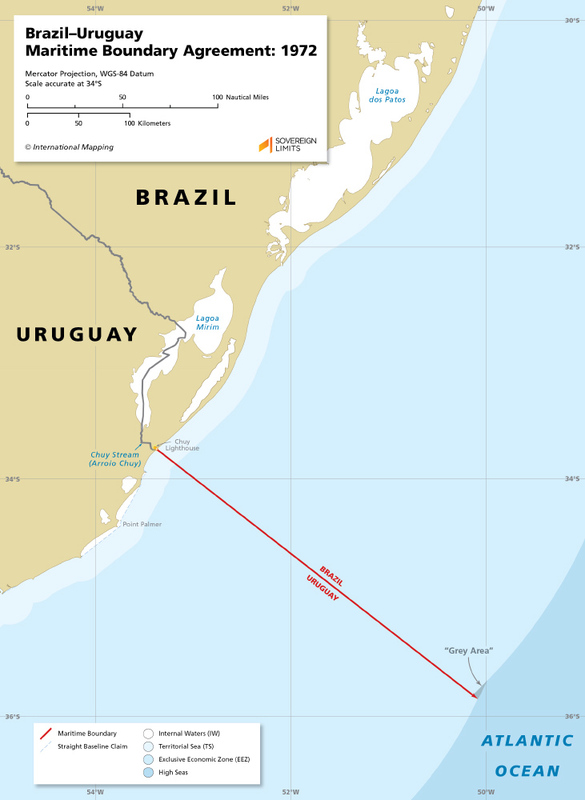 The maritime boundary extends on a single directional bearing of 128° until it meets the 200 nautical miles (M) limit of Uruguay, thus creating a “grey area” where part of the maritime area on Brazil’s side of the boundary is beyond their 200 M reach but within the 200 M reach of Uruguay.